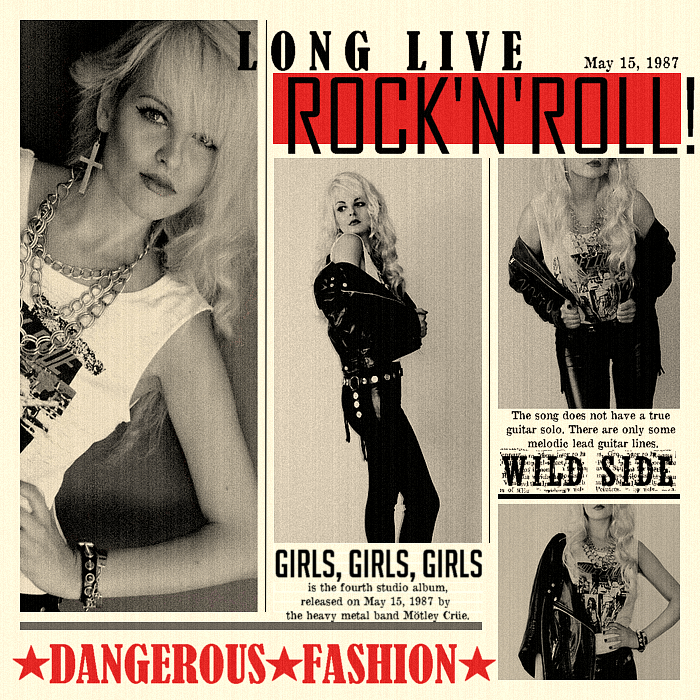 MISSI’S STYLE: Rock N’ Roll! That’s all! TIMELESS ITEM: A black leather jacket will always be in style. FASHION THROUGH THE AGES: When I was a little girl I loved to wear my Mom’s heelS… Today I’m still a big fan of high heels! INSPIRATION: My style is inspired by the rock music of the late 80s and early 90s. I love a lot of hard rock bands from those times like Skid Row, Guns N Roses, Cinderella, Def Leppard and more. But my style icon is definitely Michael Jackson. I absolutely love his clothes, especially his military jackets! FALLING IN LOVE: During Fall, I love wearing all kinds of leather clothes: skirts, shorts, vests, pants and more!